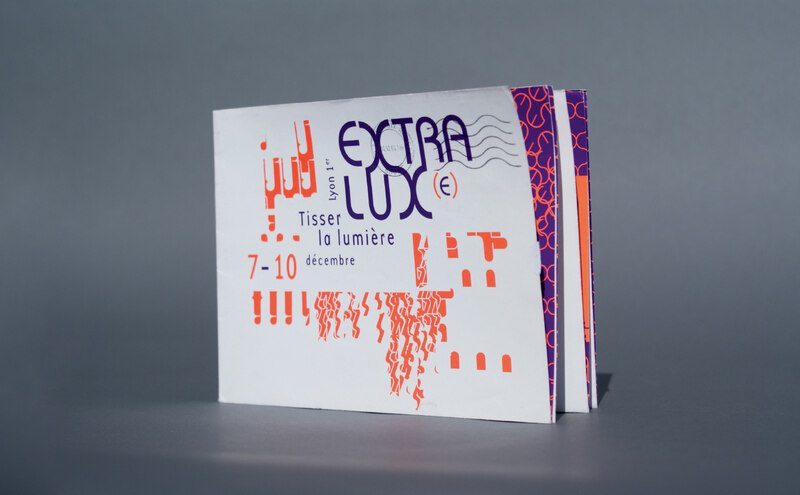 Lyon, France hosts a Festival of Lights that has become a hub of creativity, production and contemporary design. 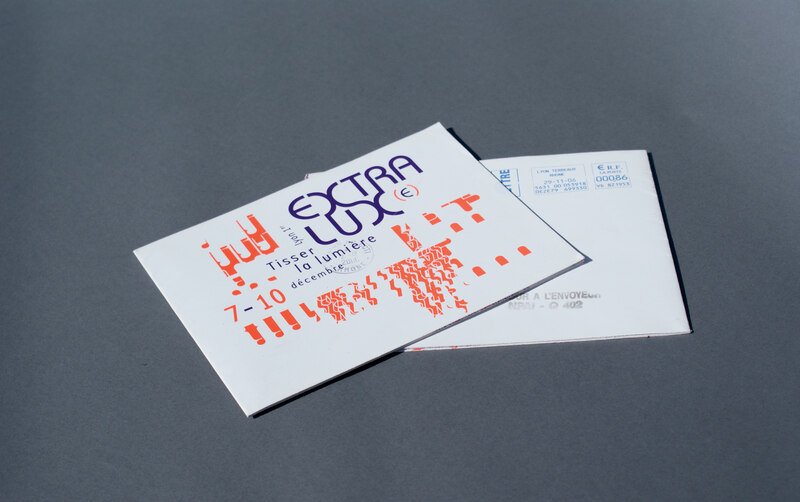 Extralux (e) was a textile exhibit among the festival’s scheduled events and focused on the theme Weaving Light. I designed the poster for the exhibit. and contemporary design. 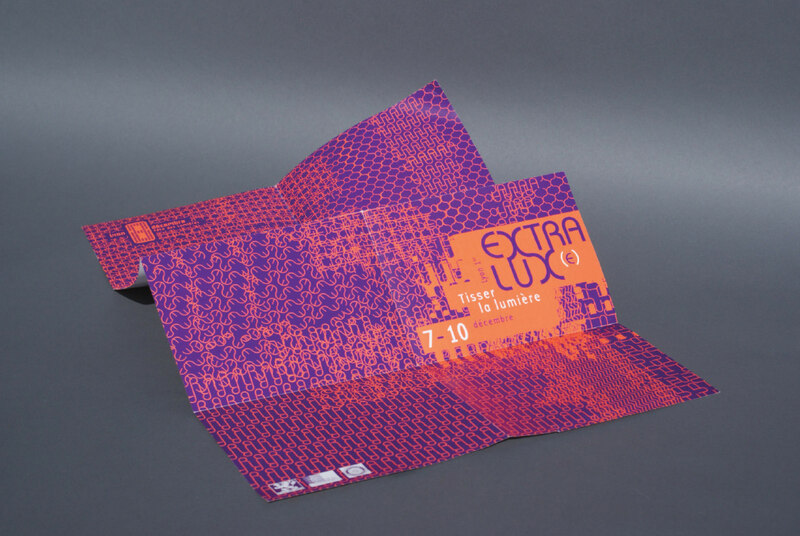 Extralux (e) was a textile exhibit among the festival’s scheduled events and focused on the theme Weaving Light. I designed the poster for the exhibit. Patterns created from the title’s glyphs are woven together like the textiles featured in the exhibition. As they cross each other’s paths, they create vibrant “luminous” spots. 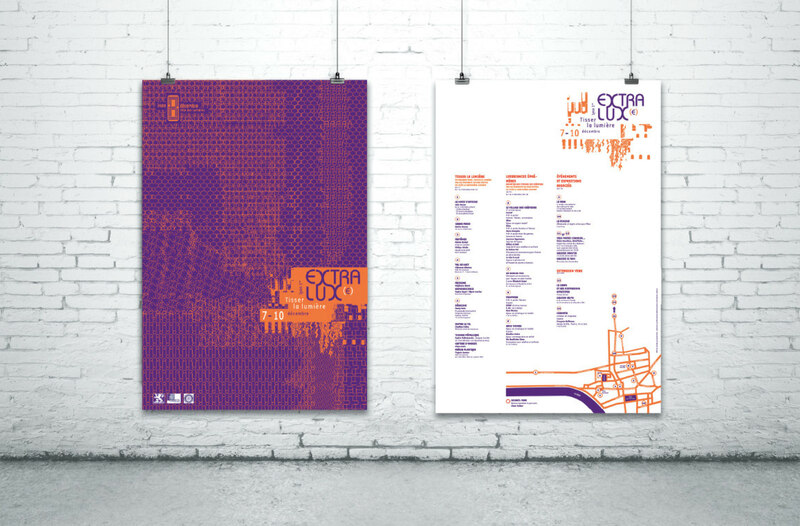 The poster folds into a flyer that can be mailed as invites for the event and also serves as the event info flyer.